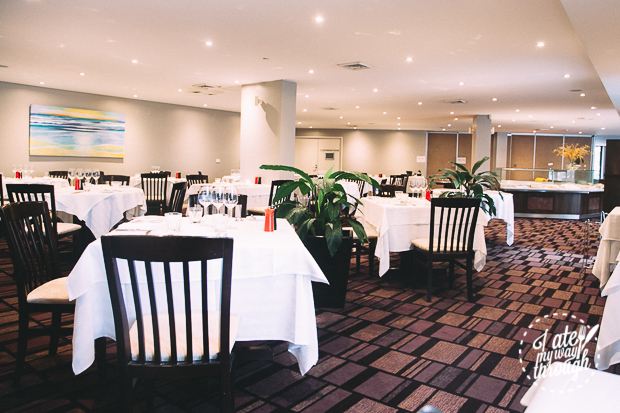 Atlantis Bar and Dining, manages to imbue the orderly, efficient professionalism of its North Ryde surrounds with warmth, so that it’s a welcome break from the office but one that focuses on getting you back to a state of zen. The tablecloths are white and crisp, the dining room is bright, quiet and spacious, and service is professional and efficient. What’s most commendable is how versatile it is as a dining venue: it is equally able to accommodate your business lunch with clients as it is able to host a buffet with a large group of friends or co-workers, catering a high tea, or a dinner date after work. 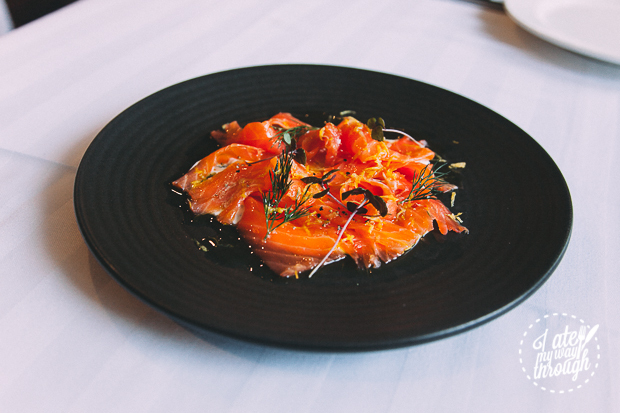 We started with the Tasmanian Cured Ocean Trout ($19), a nicely plated dish that showcased the beautiful colour of the trout, which is cured with blood orange and Pernod, topped with dill and Greek yoghurt. The dish could have used a little more citrus flavour from the blood orange to balance the saltiness of the fresh trout but, paired with bread or a more neutral side, would be a vivid flavour kick. 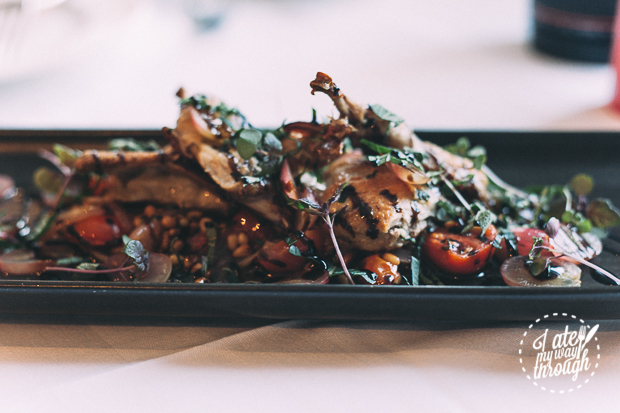 The BBQ Jumbo Butterflied Quail ($22) features a beautiful relish of sweet and sour balsamic sauce, complemented by grape slices, tomatoes and the fragrant pine nuts. 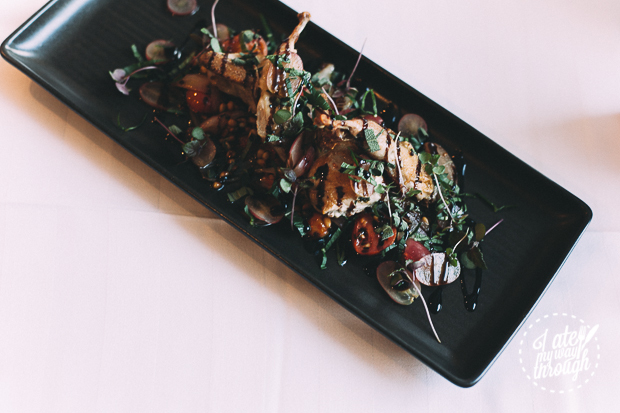 The meat was cooked a little inconsistently – I found a deliciously tender quail leg but a slightly overcooked thigh – but the light, delicately sweet flavours of the relish really worked with the lightly seasoned quail meat and smelled delicious. 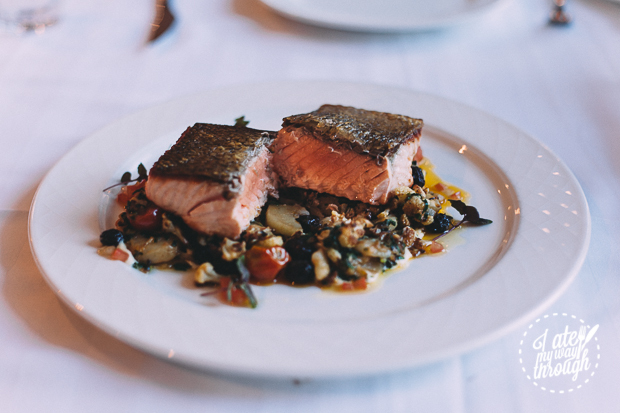 The Grilled Tasmanian Salmon Fillet ($35) was definitely the piece de resistance of our meal. If you come to Atlantis for nothing else, come for its salmon, which was cooked perfectly, with an incredibly crispy skin on top. The distinct light flavour of the grilled cauliflower and potato, with slight creamy hints of Asiago cheese, created a unique flavour complement to the salmon. The pickled raisins added small bursts of muted sweetness and the slightest tinge of alcohol, which rounded the dish off perfectly. 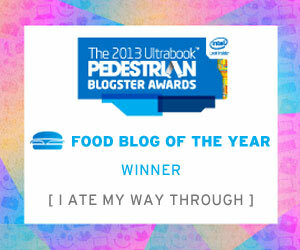 To top it off, it looked gorgeous. Atlantis faltered a little by overcooking the Oven Baked Chicken Kiev ($34) and undercooking the almonds, which was a shame because the chicken skin was crispy and bursting with herby flavour and the oozing Asiago cheese filling is perfect for cheese-lovers. 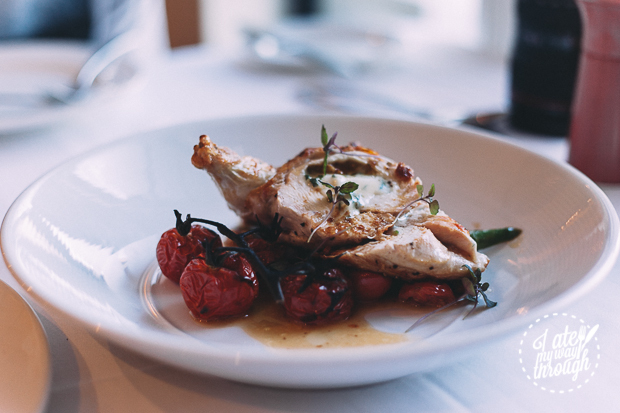 Though it’s technically a Ukranian dish, Atlantis’ take on the kiev reflects its Mediterranean cuisine roots in the flavours of the chicken and the juicy vine tomatoes. I feel we ended up only experiencing the tip of the iceberg, when it comes to the full menu that Atlantis has on offer and it’s no surprise, given its huge range. 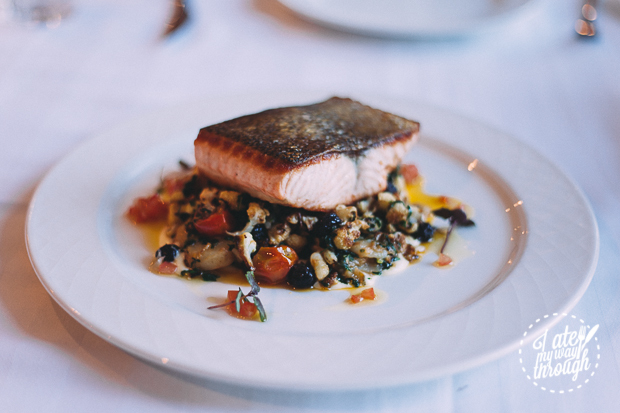 If you want to trust in the chef that produced that beautiful salmon fillet, Atlantis would be well worth revisiting with some seafood-hungry companions. For lunch. Or breakfast. Or after-work dinner. Or mid-morning high tea. It will be here. 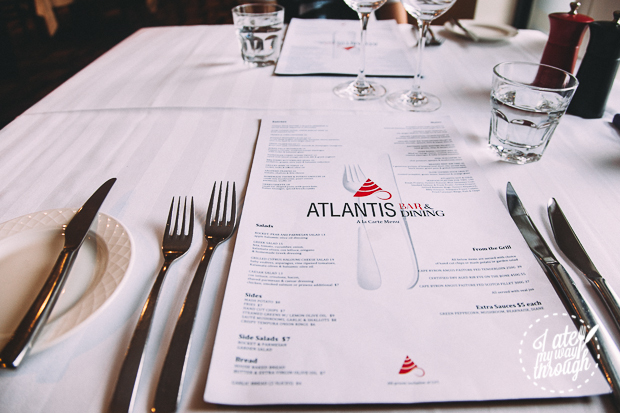 I Ate My Way Through dined as guests of Atlantis Bar and Dining.